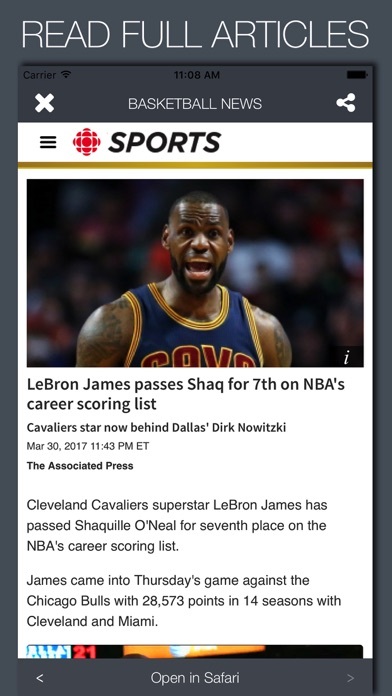 Basketball news is your one stop source for all Basketball news, stats, predictions and results. All top stories appear in one simple newsfeed. 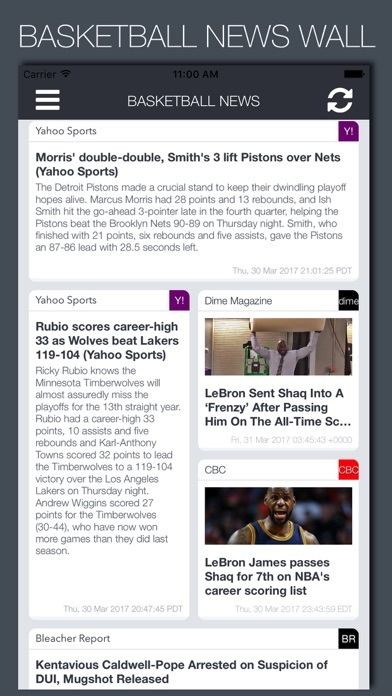 Enable news feeds from top sources such as CBC for generic news, or select team specific news. 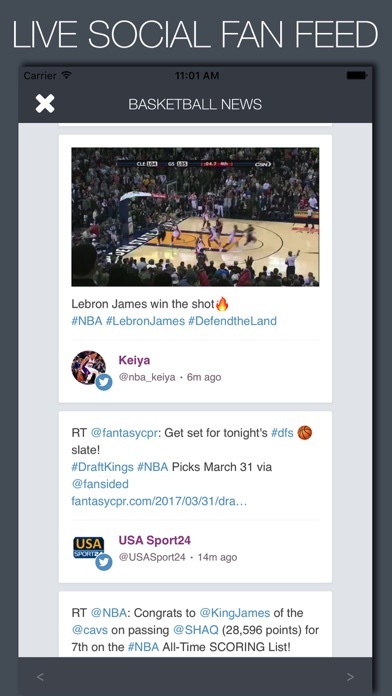 Live Social Fan Feed View what other fans are saying around the world in real time. Think the result should have gone the other way? View the fan feed to see what others are thinking. 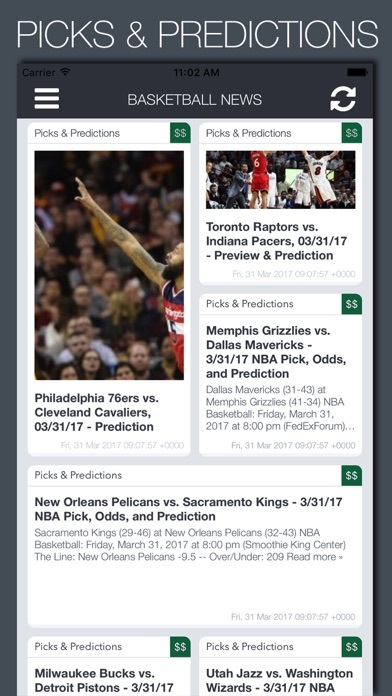 As well as the top news and fan feeds, you can view daily basketball picks all in one place. View predictions on upcoming matches from a variety of sources to give you an informed view. 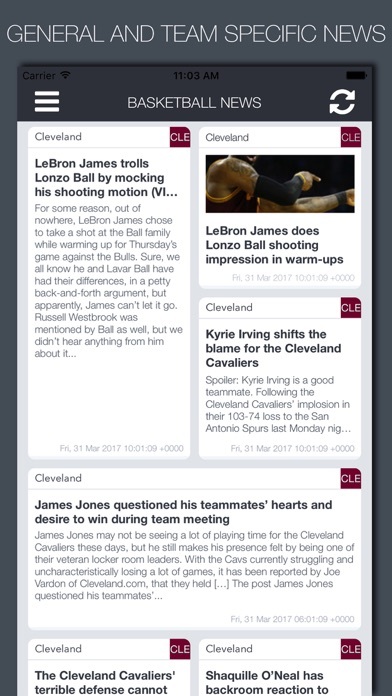 Easily remove or add your own RSS news sources to appear and view all news articles within the app or via Safari. We will constantly be adding new sources. If you would like to recommend a source, please email contact@sprensis.com Disclaimer: The National Basketball Association ("NBA") name and logo and the names and logos of NBA.com and the NBA teams are the property of NBA Properties, Inc. and the member teams of the NBA. Live Basketball News is not endorsed by or affiliated with the National Basketball Association. All other registered trademarks or trademarks are property of their respective owners.